When the near future 22 century, spread there treats as human slaves, was a robot with our appearance that continue to work as workhorse. But the situation one day on the border changes completely, control computer is out crazy, he robots have been hanging attack to simultaneously human beings assembled a cabal, just robots revolt!! 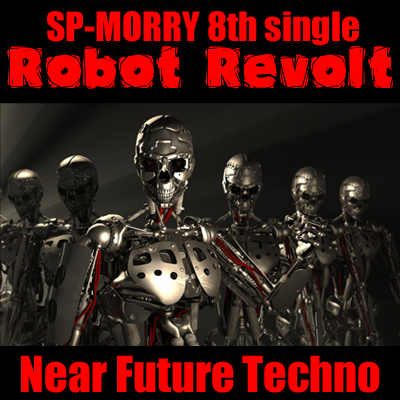 Such as that float to think the SF movie of such old age, he of this song "Robot Revolt" is the representation of the full sense of urgency crisis situation as music. Robot Corps looming as droves, mechanically promoting walking, robots of rebellion going cornered the man surely and scorching. The guys will also find the help feeling there is no, it is the only hunt down just silently run about trying to escape human beings. Its getting caught and found to such Yo has ... continued is me check to listening to music. Neo Future Techno new techno music named is, as if reflect the projector in the brain, showing off in the brain that became a screen near future world of horror !! 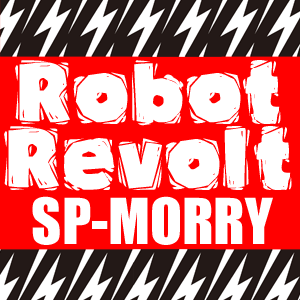 SP-MORRY sound of true value, tonight with heartily danced me !! new techno music in the music that has been Visualizers Ali internalization, Let's robot dance ! !